I’ve recently been playing Tom Clancy's Ghost Recon: Wildlands and slowly progressing through the games central campaign for the last three weeks or so. 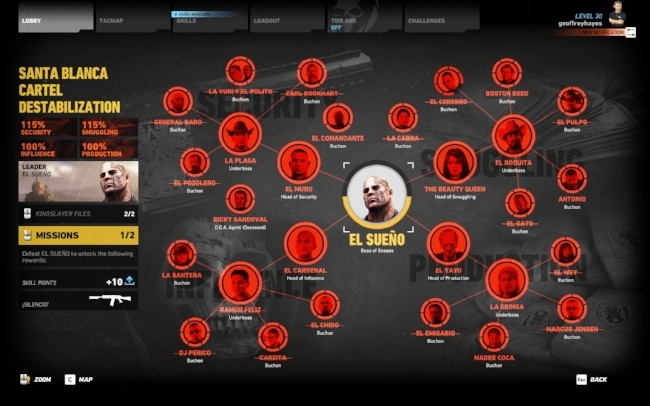 Last night I finally met the criteria to take down the game’s central villain, El Sueño. On my second attempt I finally made it to the mountain top mausoleum in time and triggered the cutscene which gives the game’s primary ending. This conclusion has been dubbed the “bad ending” by some players and if you then repeat the final mission, you are granted access to a second alternative outcome. Both story denouements are plausible, but I actually preferred the first. To hell with cutting deals and geo-politics. As far as I’m concerned, El Sueño had to die. However, irrespective of which ending I favoured, once he was dispensed with, I simply moved on to mopping up a few residual quests around the game map. Once this is done, then I’ll start the DLC. This morning, I opened Microsoft Outlook to discover the following email sitting in my inbox. “El Sueño is dead!” was the stark message. Naturally I opened it and read the following. “Congrats for defeating El Sueño. You worked hard, Ghost, fired at the enemy, roamed the dusty roads of Bolivia and flew over with helicopters. Need another challenge? Exchange 100 units to get a 20% discount on a new Ubisoft game!”. It’s hardly the most heavy-handed marketing message I’ve come across in nearly thirty years of gaming, but it is unique, in so far as it was sent directly to me by email after reaching a specific achievement in-game. Effectively, the publishers are saying congratulations, now go spend more money please. Again, this entire situation initially seems very innocuous, but the more I think upon it, the more significant it appears. I’ve not played a great deal of Ubisoft games over the years and I’ve only recently discovered how the company does it utmost to extend the lifecycle of their products and monetise them to the maximum. I recently found that they have sperate season passes for each year a game has content released. They also lock a great deal of cosmetic items, as well as practical game content such as weapons, behind pay walls. Compared to other companies they are far more “vociferous” in pursuing the content of their players wallets. So in within this context, I guess receiving an email congratulating me on my success while simultaneously encouraging me to contribute further to their shareholders pension fund, is hardly surprising. I found the whole experience to be just “odd”. I wonder if some players find such messages flattering? I also wonder if anyone actually did go straight to the store and start spending. I guess the very existence of such emails indicates that they do.